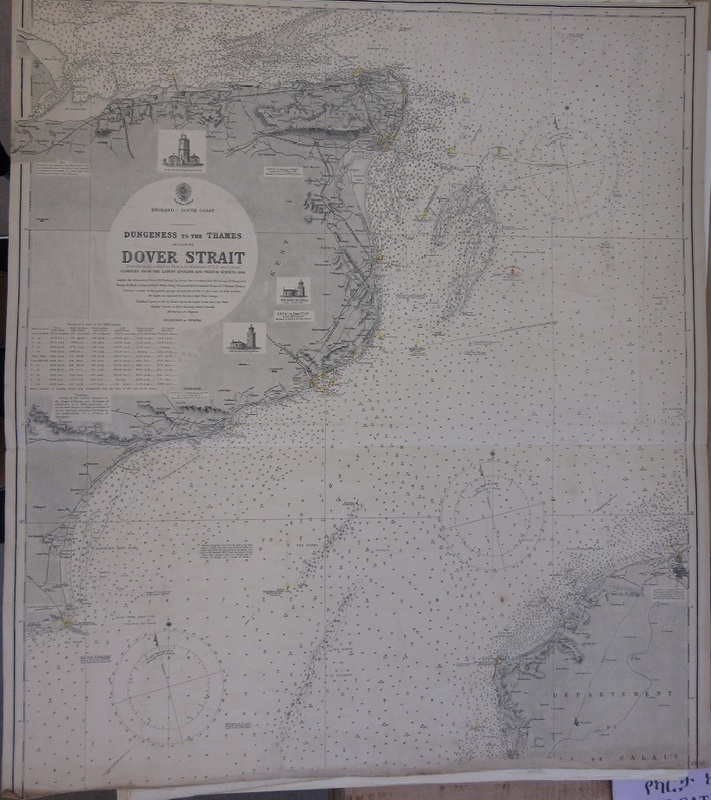 Admiralty Charts have long been an important record of sea-faring conditions throughout the worlds oceans and seas. 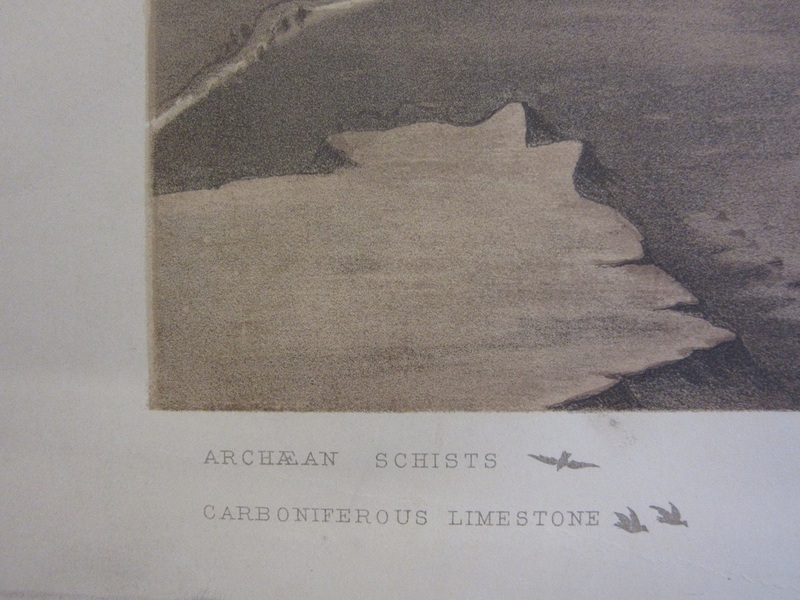 Pretty much every estuary, island, port and sea has been covered at various levels of detail from the early 1800s showing details such as depths, observation points in-land and light-houses. Dangers such as rocks and other obstacles are also noted, such, as in this case, the famous Goodwin Sands off the Kent coast. England -South Coast. Dungeness to the Thames including Dover Strait. Nu 1895. 1911. This entry was posted in Cartography on 29 November 2016 by stuart. No upper class young man worth his salt in the eighteenth century could hold his head up if he hadn’t traversed Europe on a Grand Tour. 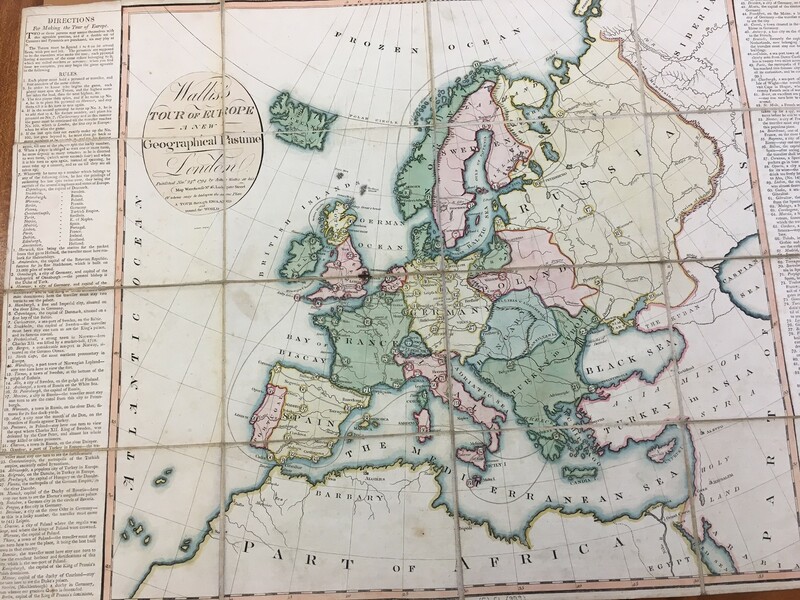 However, for the less fortunate help was at hand in the form of a cartographic race game. 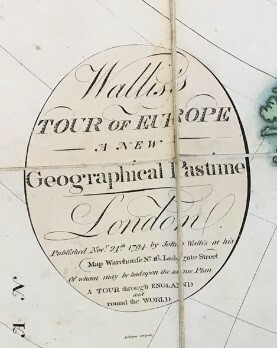 Wallis’s Tour of Europe. 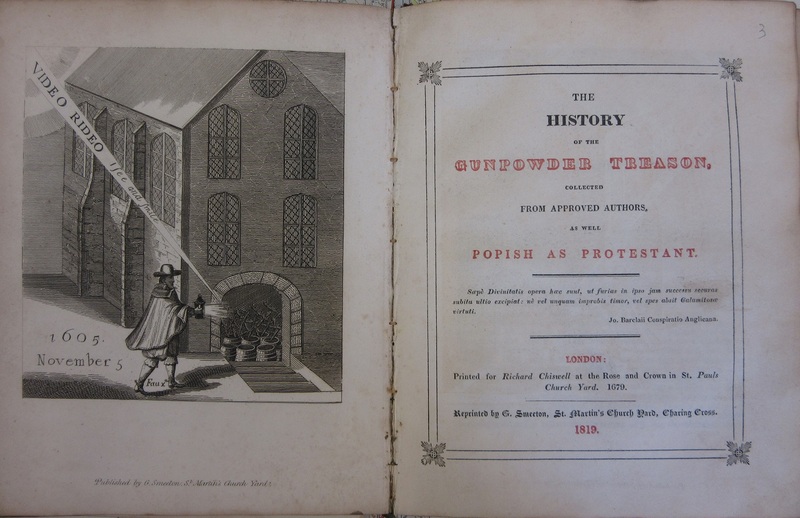 A New Geographical Pastime was published by John Wallis, a cartographer and map seller in 1794. “Two or three persons may amuse themselves with this agreeable pastime, and if a double set of Counters and Pyramids, six may play at it”. 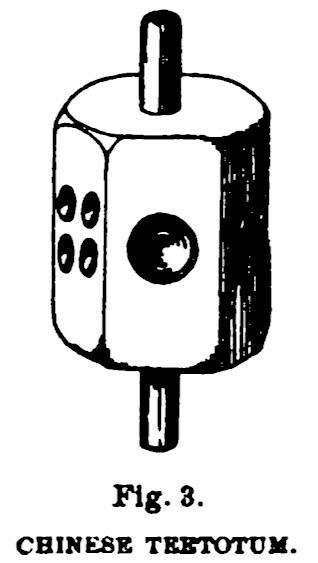 Players use a spinning a ‘teetotum’, a sort of gambling spinning top counting up to 8, to progress as dice were considered gambling instruments thus inappropriate in Christian households. All the players start at Harwich and the race moves across Europe along the numbered route. They journey from Amsterdam through Germany, Sweden, Norway, even Lapland, Russia, Turkey in Europe, France Italy, Spain and Portugal returning to England through Portsmouth then taking in Scotland and Ireland the winner finally finishing in London after 102 stops. Unlike the real thing the route takes in such places as Wordhuys (Vardo) in Finnmark, Norway, Woronets (Voronezh), Adrianople (Edirne) and Johny Groat’s House in Scotland along with the traditional Athens, Florence and Rome. The panels on either side of the map detail not only the rules but also lists each stop with a brief description so players could ‘experience’ Europe though text. The players can become well-travelled without the need for a gap year and a fortune. Games like these were very popular in the eighteenth and nineteenth century in the parlours of middle class households to keep people entertained in the long evenings. The map itself is a fairly simple hand coloured map with political boundaries and the mountain ranges drawn in pictorially. 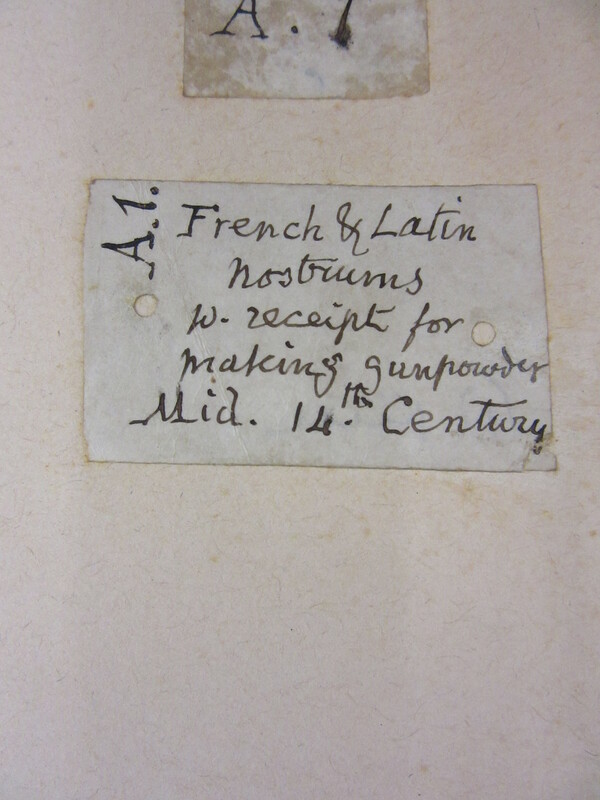 It is mounted and linen so can be folded neatly and put away when not in use. This entry was posted in Humour, Puzzle on 21 November 2016 by tessa. 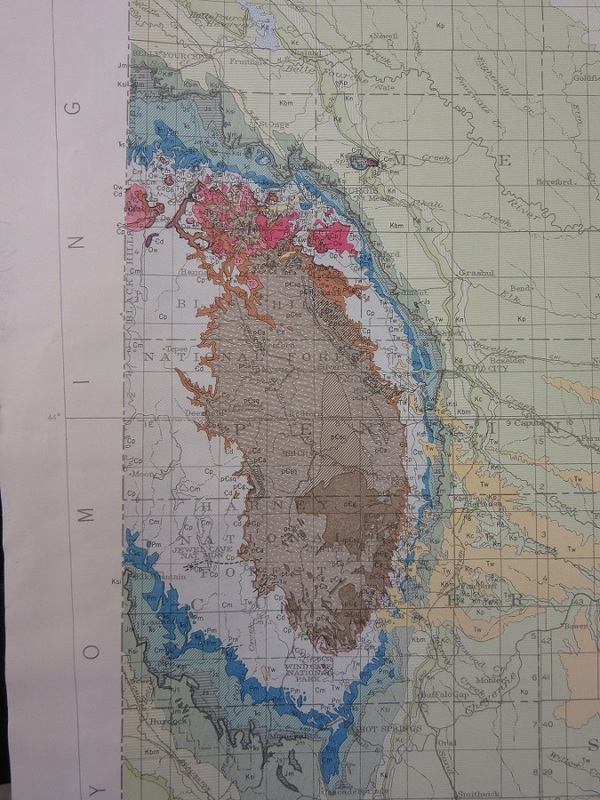 Geological maps are often amongst the most colourful of all the cartographic genres, with the majority using a wide range of colours to show the land beneath our feet. 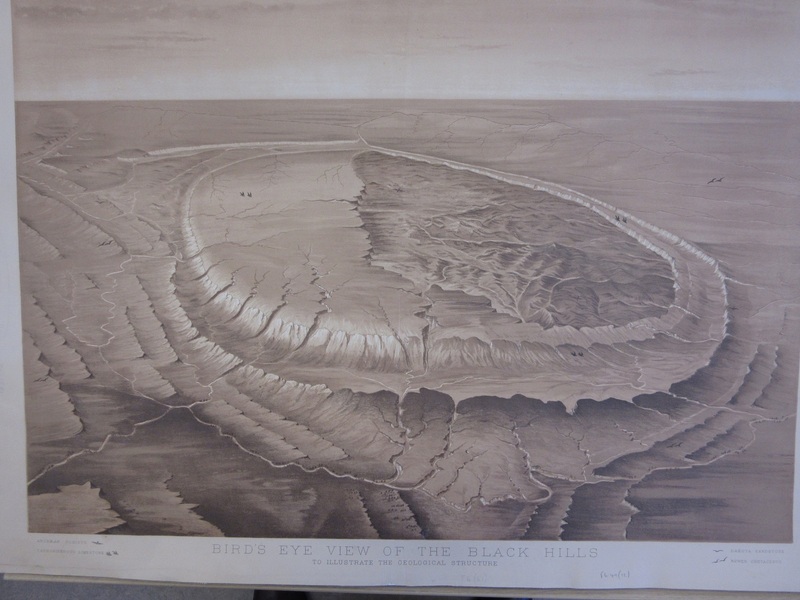 One of the first recognized geological maps produced in this way was William Smith’s celebrated map of England and Wales, from 1815, featured in an earlier entry in this blog, http://blogs.bodleian.ox.ac.uk/maps/2015/01/ . Towards the end of the Nineteenth Century the Ordnance Survey started to produce detailed, and often beautiful, geological maps of Britain and Ireland, something which continues to this day with the British Geological Survey (https://www.bgs.ac.uk/). geology of the region. A lack of any compass directions, text or scale on the map leaves a confused view of a complicated geological area. The Black Hills region has been dated back as far as 1.8 billion years, and was formed by magma deposits released during the movement of tectonic plates during the event known as the Trans-Hudson Orogeny (orogeny is a term used to describe geological events that cause major changes in the appearance of the Earth due to tectonic movement). The dramatic rings around the main area are caused by anticlines surrounding a dome (an anticline is a geological fold where strata are pushed together). The Black Hills has a history as complex as its geology. Long been a site of spiritual importance the Hills took on a political significance after treaties giving the lands in perpetuity to the Lakota Indians in 1868 were ignored with the discovery of gold in 1874, and with defeat in the Great Sioux wars in 1876 the tribes were forcibly moved to reservations outside of the Black Hills area. A ruling in the U.S. Supreme Court in 1980 stated that the relocation of the tribe was illegal, and that the Lakota were entitled to compensation, something which the Lakota refuse to accept as they believe that the only acceptable outcome is the return of the Black Hills. Mount Rushmore is on the eastern edge of the Black Hills and just across the border into Wyoming is the Devil’s Tower National Monument, created in 1906 and the first National Monument in the United States. 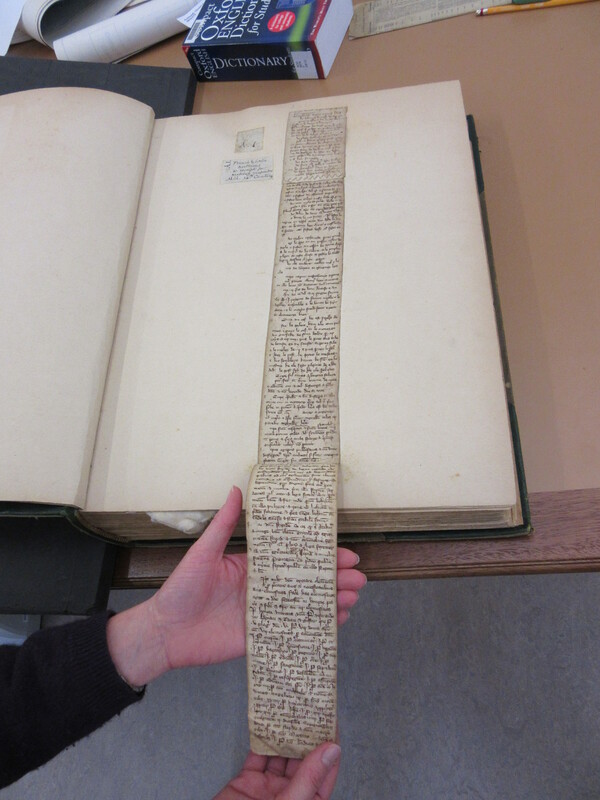 At the top of the map, just off the scan shown here, is the text ‘Dept. of the Interior, U.S.G and G. Survey, J.W. Powell in charge’. The U.S. G. and G. is the United States Geographical and Geological Survey, now called the U.S. Geological Survey and still producing maps to this day. J.W. Powell was an important figure in both the surveying and the exploration of the American West. John Wesley Powell was the second director of the U.S. Geological Survey but is remembered more for leading expeditions down the Colorado and Green Rivers, culminating in the first navigation through the Grand Canyon. A journey even more impressive considering that Powell had lost an arm during the Battle of Shiloh in 1862. The area of the Black Hills, hard up against the border with Wyoming, shown on a more conventional geological map. The main part of the hill is schists (speckled brown) and granite (brown) surrounded by a ring of sandstone (light blue) and limestone (darker blue).This band of sandstone and limestone corresponds with the flat plateau of the western part of the raised dome in the earlier map. 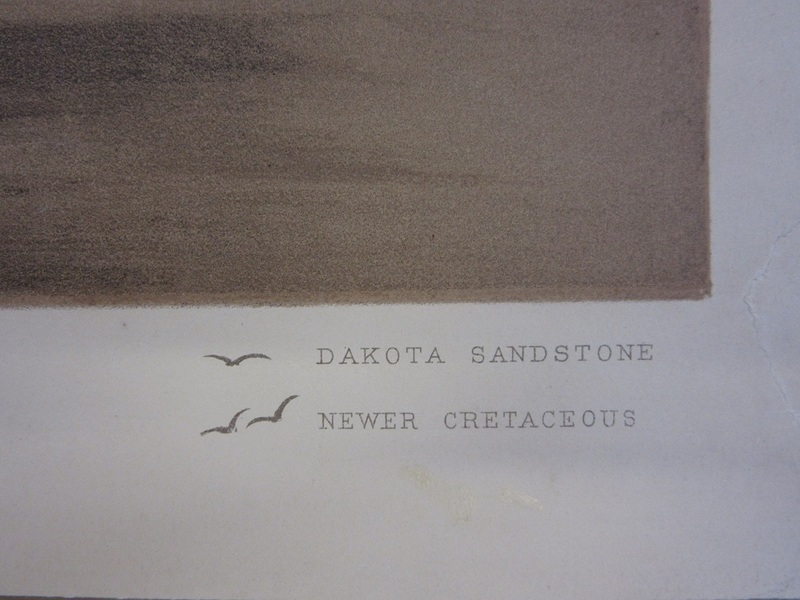 Geological map of South Dakota, 1951. F6:49 (6). This entry was posted in Geography on 15 November 2016 by stuart. 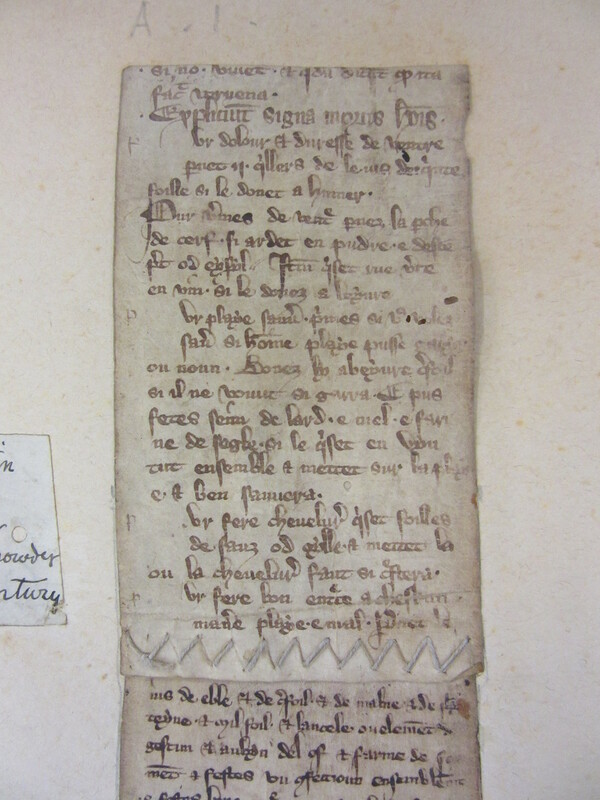 While searching through a book of documents about the Oxfordshire village of Ewelme for a map enquiry staff came across this intriguing document. 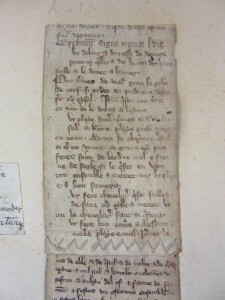 A fourteenth century recipe for, amongst other things, making gunpowder. Remember, remember the fifth of November,Gunpowder treason and plot. 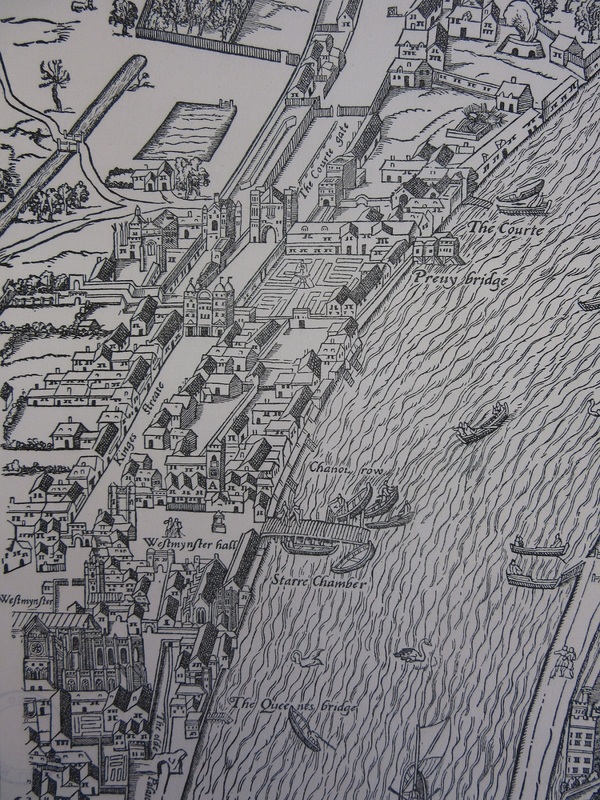 while the second, confusingly drawn so that south is at the top, shows the House of Lords and the layout of buildings around both Houses of Parliament. 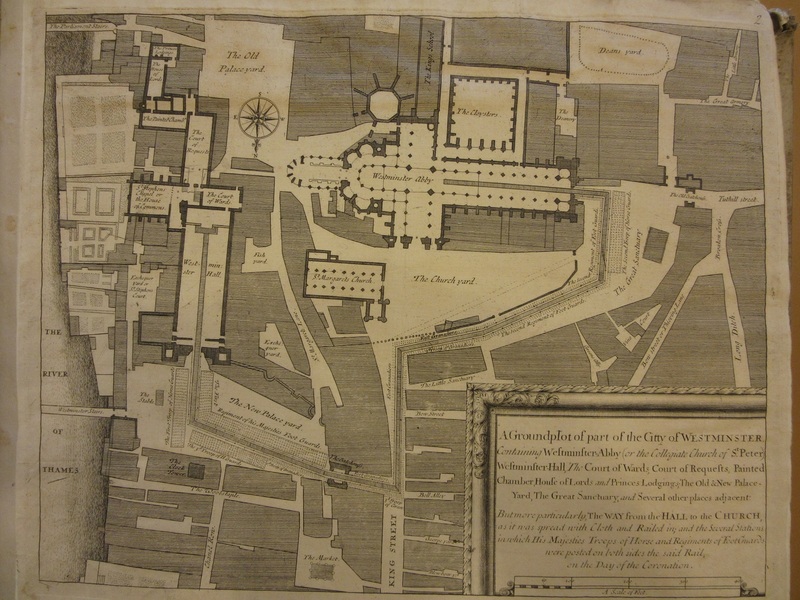 The Old Palace Yard is also shown, scene of the execution of a number of the conspirators the following year. This entry was posted in History on 3 November 2016 by stuart.